How do I avoid a costs nightmare when I divorce. Read the romantic poets? Tiger, Tiger burning bright, in the forests of the night. Another poet than Blake, a romantic, is brought to mind by the Tiger trust divorce, Quan Bray v Bray, as Coleridge J recalled his rhyming namesake last year when warning this latter day Khubla Khan that they were endangering Xhanadu in a divorce described as a “costs nightmare”. Poetic justice? The appeal court last week agreed with Coleridge J. The case is between a divorcing couple of great wealth and the wife has argued that a Tiger conservation trust was a front for holding money that should be available in the divorce. The Court of Appeal upheld the Judge who had decided against her and was alarmed at the profligate expense of each party within the divorce. Lady Justice King commented in respect of the legal cost, “Nevertheless, I would urge most strongly that the parties attempt to find a way through to a resolution”. Did he who created the Lamb create the costs monster that is a contested divorce financial dispute? How can costs be controlled? These are two different questions that can easily be occluded by just blaming the lawyers, though kept separate you need to appreciate metaphysics. The reality is that your choice of divorce solicitor can significantly contribute to the cost outcome; there is great skill in negotiating in a non confrontational manner, it being far easier to seek to impress your client by a lot of sound and fury that ultimately will signify a bigger bill. That has nothing to do with your future in resolving your past ties. A solicitor you may think too like a lamb to fight the devil that is your ex, might be the ideal counter to the heat unhelpfully being created. How do you know which solicitor to choose? Try a recommendation from a friend. Using panel membership of the solicitor by web search with the Law Society or Resolution can be a guide. Meet solicitors that seem to meet your needs for an initial free consultation. Don`t expect him or her to solve your case for free at that meeting; check their charging policy and whether you feel comfortable with him or her acting as your representative. Fixed fees are a good option to control costs. Most importantly, however, you need to examine your own approach to the dispute. Most divorce cases end up as expensive farces because of the attitude of one or both parties. The lawyers may have been helpless observers of the tragedy, a less than admiring audience to financial ruin. If your solicitor is warning you about costs, listen; he is giving you free advice. Michael Brennan at Stonehewer Moss in Northwich, Cheshire , a divorce solicitor with panel membership has practised for nearly 25 years and has never allowed costs to run away with clients emotions. Michael believes some firm but fair warnings on costs from your solicitor are part of the role of a professional. He believes alternative to court can be far more cost effective if approached with an open mind and he offers collaborative law as a good option. More of your stately pleasuredome can be preserved for your family than for costly arguments if you choose dispute resolution. 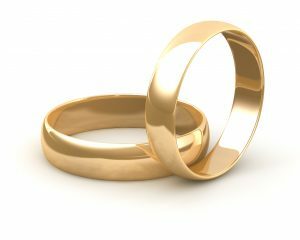 This article was added on Monday, December 7th, 2015 at 10:35 am and is categorised under Cheshire News, Chester News, cohabitation disputes, collaborative law, Divorce, divorce finances, Family finances, Family Law. Both comments and pings are currently closed. Error: Error validating access token: Session has expired on Saturday, 09-Mar-19 13:12:58 PST. The current time is Thursday, 25-Apr-19 05:56:16 PDT.